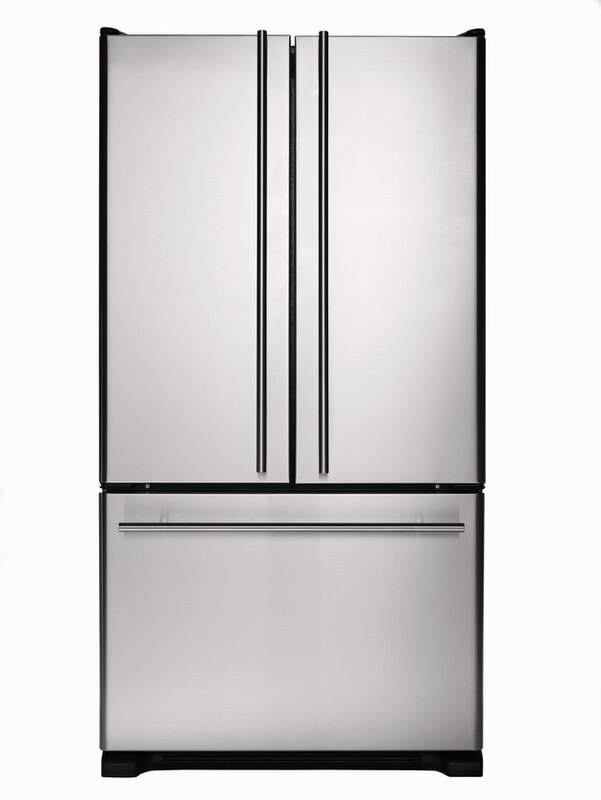 A fake stainless steel refrigerator has been coated with stainless steel film, so that the appliance looks as if it had been made from stainless steel. When redecorating the kitchen, using the film offers a way to change the look of appliances without the expense of buying new ones. Although many films are scratch-resistant, they're not scratch-proof, so knowing how to remove scratches can be important. Stainless steel film can give a new look to a refrigerator. Most minor scuffs can be cleaned up either with soap and water or glass cleaner. Be sure to use a mild soap – nothing abrasive – and apply in a circular motion with a clean cloth. Wash with a cloth that's been dipped in warm water and wrung out. For glass cleaner, spray over the area lightly and wipe in a circular motion around the mark with a dry, clean cloth, preferably lint-free, and continue wiping until the mark has gone. Apply more of the glass cleaner and repeat if needed. These methods are also recommended for general cleaning of the stainless steel film. Small scratches on the stainless steel film can be removed by using a small amount of carnauba wax on the surface – a good car wax will do the job. Dampen a sponge, put a small amount of wax on the sponge, then rub into the surface. Leave to dry for a few minutes and then wipe clean with a dry cloth. This should eliminate the scratch, but if it's not all gone, reapply to the stainless steel film. Wet a piece of wet-and-dry 600-grit sandpaper in soapy water and gently sand the scratch. Clean with cold water and then repeat the process with wet-and-dry 800-grit sandpaper, and don't worry if the area around the scratches loses its stainless shine. Clean once more and then rub with wet-and-dry 1200-grit sandpaper, making sure it's heavily moistened with soapy water. Pat the area dry. Apply metal polish to the area, using a clean, dry cloth; this will take away the smeared, frosty look. Complete by using silver polish on the area to restore the stainless finish to the film. Try removing deep gouges as you would with a deep scratch, but sand over a wider area, ensuring that the sandpaper remains wet with soapy water – the aim is to soften the edges of the gouge so it's no longer visible. In extreme cases you might need to replace the film on that part of the refrigerator. Chris Nickson has been a writer since 1994. He is the author of more than 30 books, including biographies and novels, and has written extensively on topics from music to DIY. How Do I Get Scratches Out of Stainless Steel Appliances?